Phillips was independently wealthy and although completing his M.D. program in 1904, never practiced medicine. Instead he made it his goal to become a conservation-oriented independent public servant, and to this end he spent a well-filled life traveling, observing, collecting specimens, and collaborating with both individuals and institutions according to purpose. 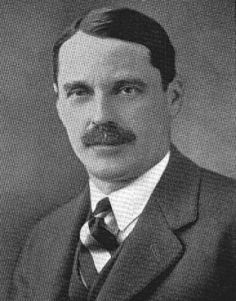 It was Phillips, for example, who raised the money to support the studies of Harper and Allen leading to the survey volumes on extinct and vanishing mammals of the old and new worlds published in 1945 and 1942, respectively. He was also a founder (and first chairman) of the American Committee for International Wild Life. Phillips' over two hundred publications reflect wide-ranging interests in animal breeding, sport hunting, ornithology, international wildlife conservation, faunal surveys and systematic reviews, Mendelian genetics, bibliography, and history; his most successful was probably his four part monograph A Natural History of the Ducks. Phillips was also a notable philanthropist who not only donated a number of his collections of specimens and artifacts to various institutions, but gave away several large tracts of land to support nature reserve development. --born in Boston, Massachusetts, on 5 November 1876. --dies near Exeter, New Hampshire, on 14 November 1938. --National Cyclopaedia of American Biography, Vol. 29 (1941). --The Auk, Vol. 56(3) (1939): 221-226. --Proceedings of the American Academy of Arts and Sciences, Vol. 74(6) (1940): 155-157.